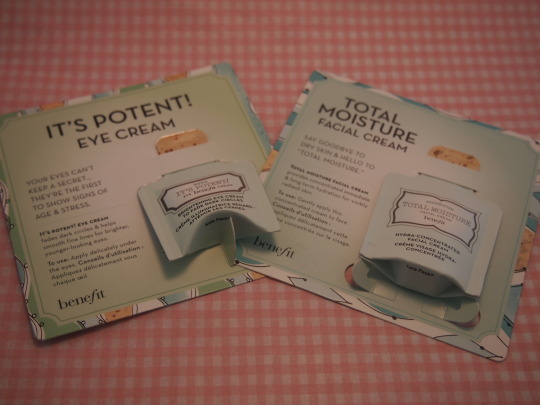 So, we received an invite to go along to a bloggers event at the Benefit Cosmetics counter in Debenhams, Telford. As our first event we had no idea what to expect! When we arrived we were greeted by Abi – and a counter full of party hats, drinks, doughnuts from Krispy Kremes and bags of sweeties from Mollies. Everyone knows Krispy Kreme – if you don’t, where have you been?! Mollies is a local company, originally set up in Welshpool and now have stores in Shrewsbury and Telford as well! It truly is one of my favourite confectionery stores. Abi started the morning by taking us through all the different Christmas gifts that Benefit have released this year! These were ‘your b.right to party’, ‘your so party!’, ‘get your party on!’, ‘life of the party’, ‘party like a rockstar’ ‘REAL cheeky party’ and lastly ‘pucker up and party’. 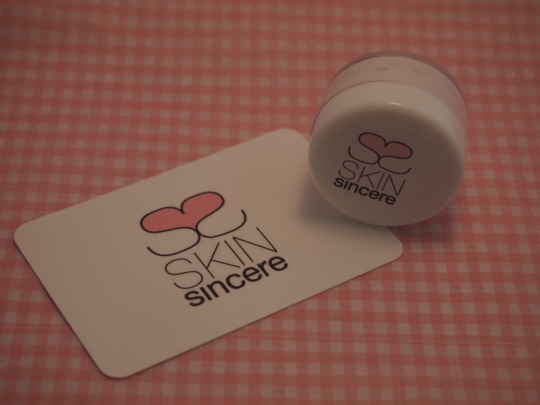 Then, after introducing Gemma from SkinSincere, Abi then went on to show us 2 different looks using various different products.. The first was a subtle day time look and the second an evening look. Once she had show us each on we set about to recreate the look on each other! I paired with Karen from JinksyBeauty while Nadine was with Hannah from Pull Yourself Together. Karen started us off by recreating the daytime look. I loved this look as it was very subtle and could be easily adapted depending on how bold you like your make up to be. I then recreated the evening party look on Karen. I was really pleased with how this turned out! There was lots of sparkle in this look – and who doesn’t like a bit of sparkle! With each look we used Air Patrol eye primer and POREfessional face primer. 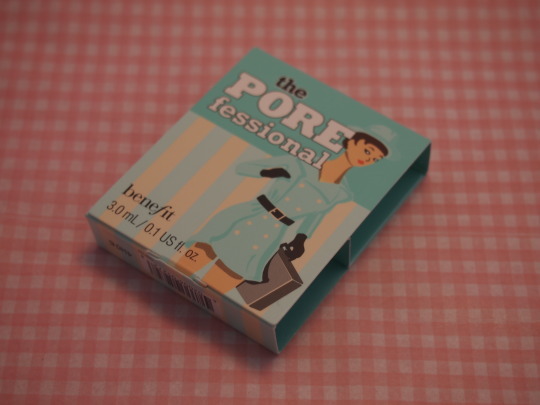 I wasn’t overly keen on the Air Patrol primer but I am totally head over heels for the POREfessional primer. POREfessional is a silicone based primer and really does smooth complexion under your normal foundation. Once we had completed our looks, we were all entered into a raffle with the chance to buy extra tickets with the money going to the Benefit Cosmtics #BoldIsBeautiful Project. The project is partnered with the amazing womens charities Look Good Feel Better and Refuge. 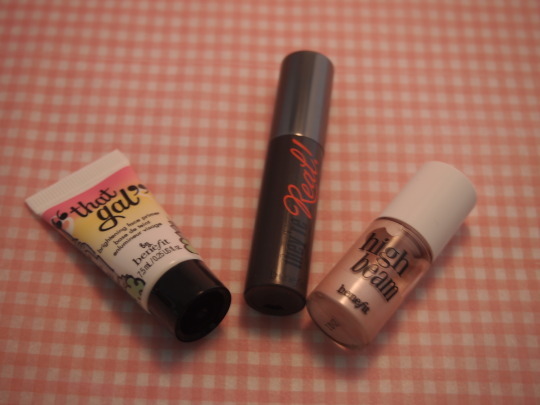 I was so lucky and won myself a mini goody bag containing ‘that gal’ face primer, ‘they’re real’ mascara and ‘high beam’ luminescent complexion enhancer. 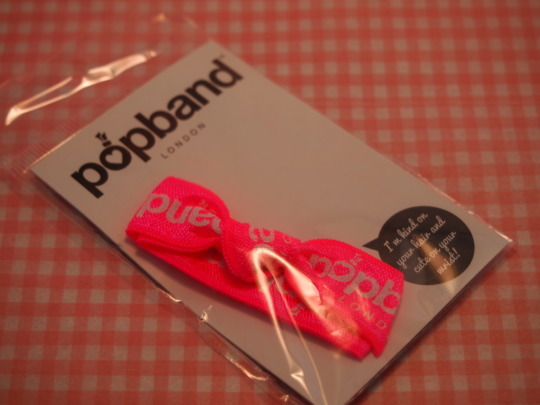 popband London hair bands – these are amazing, they leave your hair kink free! 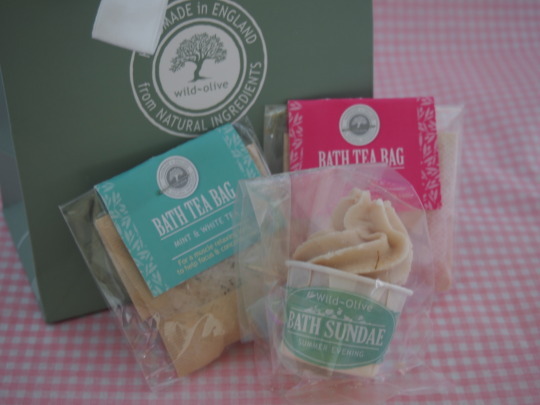 There was also a goody bag from Wild Olive. This contained some bath tea bags and a bath sundae! I’m really looking forward to trying out some of these products and letting you guys know what I think! I of course had to make a cheeky purchase while there! 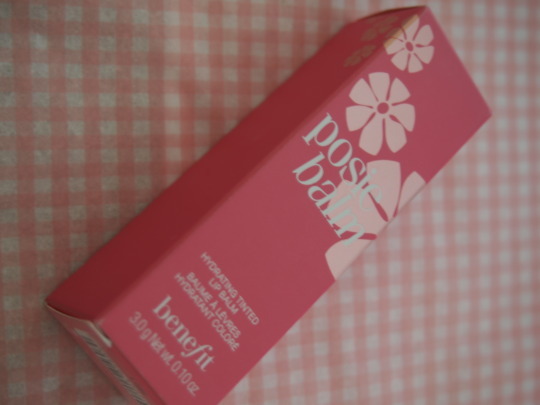 I opted for Posiebalm, Benefits lip balm – another product I will blog on after I’ve used for a while. I had a fabulous day and for our first bloggers event it was a complete success! Special thanks to Abi for hosting and arranging our incredible goody bags and gifts, to Gemma from SkinSincere for making us aware of your amazing natural products and for our sample in our goody bags and finally to the other bloggers – Karen from JinksyBeauty, Hannah from Pull Yourself Together, Kirsty from Just A Little Bit Ginger and Beth from BB-Beauty. 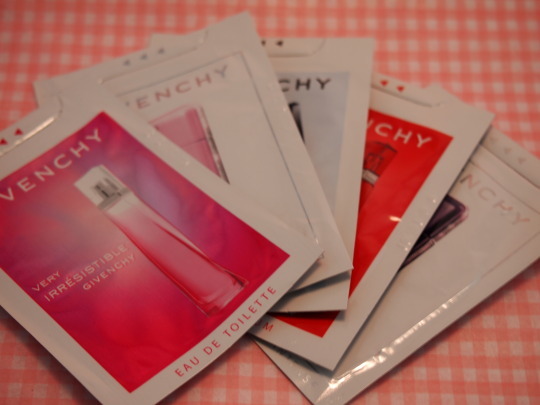 I will be blogging updates on what I think of each product as I go along! And dare I mention the ‘C’ word yet? Probably best to wait til after Halloween! Previous Post Our first event!